Browse all of our menus for an unforgettable fine dining experience! Our event specialists and award winning venue will make your wedding memorable! Log-in to view our specials online and print them to bring to the course with you. Bull Valley Golf Club is a private club dedicated to the spirit and camaraderie of golf in its purest form. 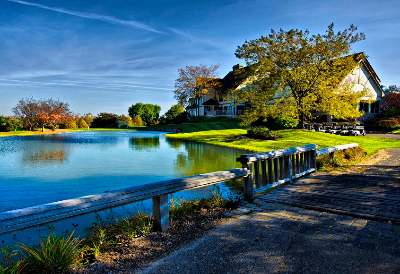 Consistently ranked among the top golf courses in America, Bull Valley Golf Club delivers incredible golfing experiences with the character and charm of Northern Illinois. Designed and maintained specifically for golf purists, Bull Valley Golf Club provides exclusive service, time-honored hospitality and the privilege of golf at its finest. Masterfully set amongst a reclaimed dairy farm blessed with rare highland fen meadows and lowland wetland prairies, like those that once stretched across the Illinois landscape. Bull Valley Golf Club showcases these environments in perfect harmony with our 18-hole championship course.